The world's biodiversity is vanishing at an unprecedented rate â€“ around 100 species every day â€“ due to factors such as land use change and pollution. Addressing this threat, world governments agreed through the UN Convention on Biological Diversity to reduce significantly the current rate of biodiversity loss by 2010. To support this initiative, ESA has kicked off its new Diversity project. Biodiversity, the variety of life including ecosystems, species, populations and genes, is of grave importance for sustaining the planetâ€™s six billion people. The loss of biodiversity threatens our food supplies, energy and medicines. For instance, up to 80% of the world's population currently relies on plant and animal-based medicines for their primary health care needs. The sustainable use of biodiversityâ€™s components will not only save ecosystems and species, but it may also save the foods and medicines of tomorrow. "The United Nations Convention on Biodiversity (UNCBD) agreed on a set of headline indicators to assess the progress made towards this target. Diversity will make a contribution to the required monitoring efforts that will help us to determine whether we are making progress and which management and policy measures are most effective and thereby support decision-making," the UNCBD Secretariat Robert HÃ¶ft said. Diversity project services and products are being developed to relate to the different areas where Earth observation (EO) technology may contribute to the conservation and monitoring activities of the different actors involved in UNCBD in Central America. ESA has identified four main users: the United Nations Educational, Scientific and Cultural Organization (UNESCO), the Secretariat of the UNCBD, the Centro American Commission for Environment and Development (CCAD) and MarViva. Based on the initial user requirements, the following products and services will be generated covering the entire Centro American region, one of the main biodiversity reserves in our planet: Mesoamerican biological corridor change detection maps; coral reef maps; ocean water quality monitoring services; and mangrove maps. The projects will also investigate wildlife migration processes from the Galapagos Islands to Cocos Island. 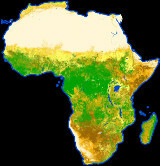 Finally, the project will provide a global map of dry lands based on existing global datasets to the UNCBD. 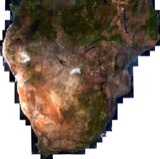 The Diversity project, developed under ESA's Data User Element (DUE) programme, is being carried out in collaboration with the UNCBD Secretariat and UNESCO, which, in addition to being a user, is also the main coordinator between the users and contractors selected by ESA. "With this activity, ESA and UNESCO are aiming to derive a working methodology," UNESCOâ€™s Mario Hernandez said. "We plan to start deriving biodiversity indicators, which means that for the first time we will go one step further in Earth observation measurements â€“ â€˜from space to placeâ€™." MarViva, a non-governmental organisation working to promote a more sustainable use of coastal and marine resources in oceanic and coastal areas in Latin America and the Caribbean, will use various Diversity products and services to study the Galapagos and Cocos Islands in the Tropical Eastern Pacific Marine Corridor. "We have the responsibility to use these products correctly and to offer this valuable information to key organisations and decision makers for their goal of improving the quality of life, keeping the tremendous diversity of the region protected and making sustainable use of our marine resources, for our future generations," MarVivaâ€™s Michael Rothschild said. Because the development of these products requires different expertise, a consortium of four organisations â€“ GeoVille Austria (prime contractor), Norwayâ€™s Nansen Environmental and Remote Sensing Center, the UKâ€™s Marine Spatial Ecology Lab and Franceâ€™s Collecte Localisation Satellites â€“ has been chosen to take the leading role in the technical development of the services and products. "Diversity responds directly to key concerns expressed through the Convention process regarding the future integrity of natural ecosystems, the survival of species and the goods and services they offer to humankind," the UNCBDâ€™s HÃ¶ft said. "It also demonstrates the responsible role of the private sector in offering tools and services for the benefit of the global community."